I shared this recipe years earlier, but with the Super Bowl coming, I thought it needed to be shared again. My daughter, who blogs at Party of 9 Living , got this recipe from a neighbor years ago. Our family loves this dip, and I hope you'll give it a try. EVERYONE loves this dip. I don't know where it got it's name, but that's what we've always called it and it's stuck. I hope you try it.The recipe is so easy to remember, and you may want to double it. This is a winner!! Stir in the can of Rotel, and heat through. Serve with sturdy chips, such as Fritos Scoops, or tortilla chips. I use an electric fondue pot for browning the meat and preparing the dip. You could always prepare this in a skillet and keep the dip warm in a slow cooker. When I take this to our ladies luncheon, everyone loves this. 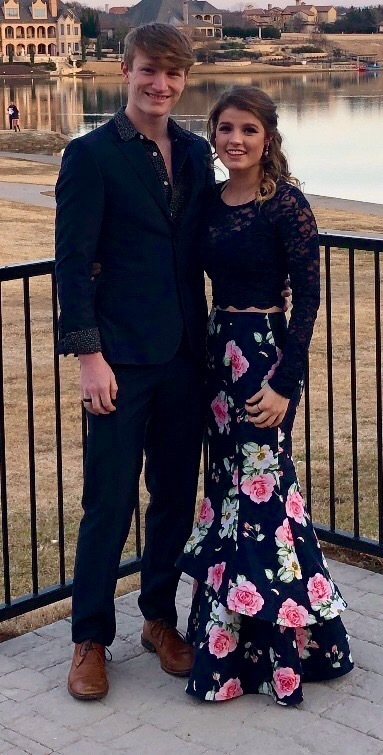 My grandson, Connor, with his girlfriend, ready to go to the Winter Formal. Here is my daughter, Molly, who is my oldest of four, with her oldest child, Connor, who is her oldest of four, and me...three generations! That’s a very different sort of dip from those I am used to and it sounds very good. What a wonderful photo of three very attractive people. I see that mother and son look quite a bit alike and you are such a pretty lady. Yummy! 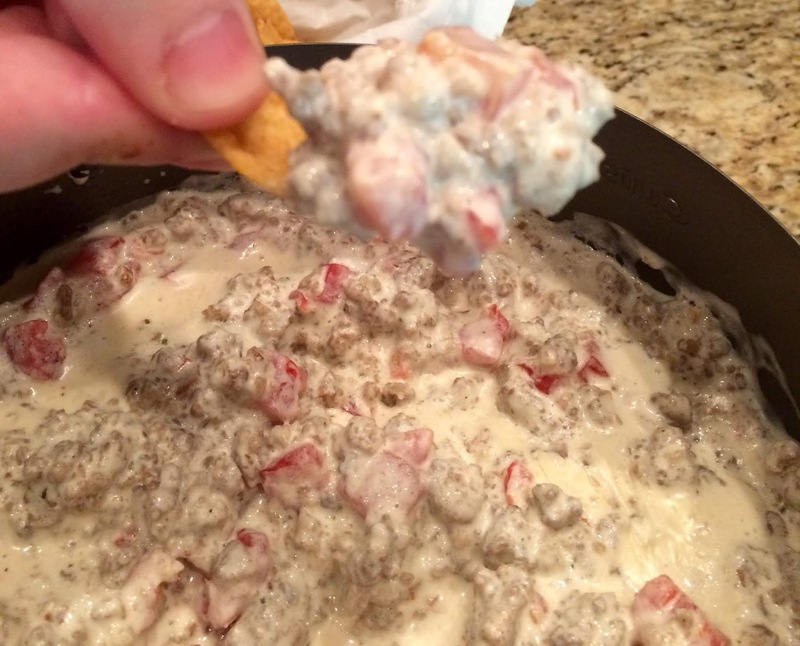 I love a warm, cheesy chip dip. Beautiful photos. It is wonderful seeing multiple generations together. Oh Kitty, that is one delicious dip and I love it! Thanks for reminding me about it, it's a great party dip. Aww, love the pictures of your daughter, Connor and you, priceless of three generations. What a beautiful picture of Connor and his girlfriend too. What a great dip for the super bowl on Sunday. I enjoyed looking the photos too. Thanks for sharing at C&C with J&J. Have a nice week and enjoy eating on Sunday. beautiful photos of three generations. Sounds delicious, Kitty! Lovely photos. The three generation one is so special. Your daughter looks a lot like you. I could just live on dips Kitty. He sure looks like you. What a beautiful daughter and handsome grandson. So glad you shared them with us. What an adorable Family!Great recipe and great pictures!Hugs! Love the name of that dip, Kitty! I think my husband would really enjoy this! Thank you for sharing it. And your family is simply beautiful! I like the dip name as well Kitty. I can see how it would stick! It sounds delicious and I will have to give this one a try next time I need to make a dip. love how easy it is too. Wow, your Connor is all grown up! His girlfriend is so lovely and such a pretty dress!!! Love seeing the pic of all three of you, beautiful family. What a cute family photo. I didn't know that blogging ran in your family! I'm sure that the Man Dip is a hit at parties. I do love a good dip, and this one looks not only easy, but delicious. I can’t wait to try it. Thanks for sharing. Your dip sounds delicious and perfect for Super Bowl grazing Kitty! I didn't realize your daughter had a blog, I had to pop over to see! 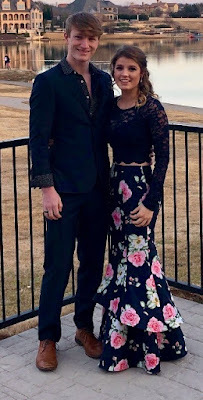 Wonderful photo of you, Molly and Conner...he's so grown up! This dip is one of my hubby's favorite things. I have also made it using ground beef and Velveeta cheese (which is NOT my thing)...the cream cheese and sausage makes it so much better. Love the three generations photo...Molly is beautiful like her mama and Conner is such a handsome young man! Hugs to you, dear Kitty! 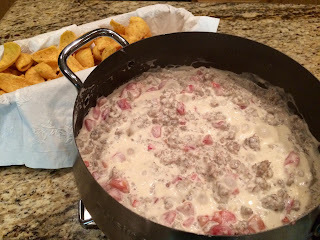 My son-in-law makes this dip regularly and it is very good! Kitty, your family is so good-looking. 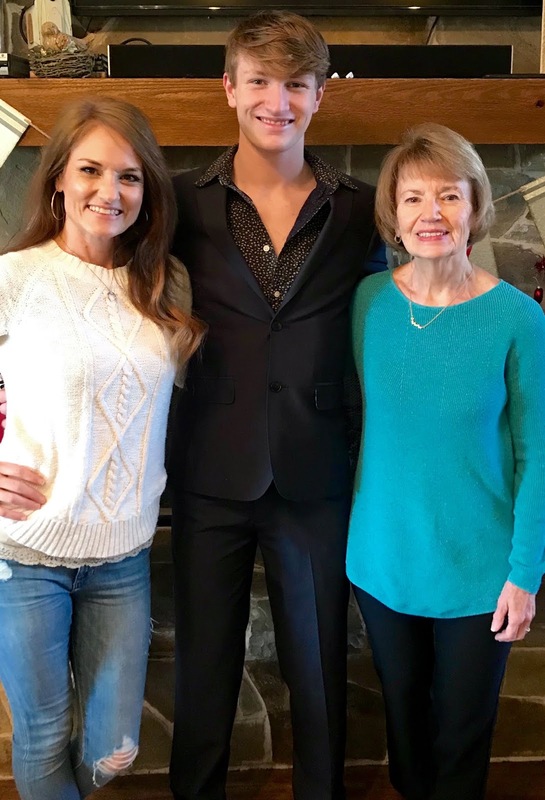 You all are blessed with good genes! Btw, I also didn't know your daughter has a blog! This is a favorite dip of my family. I will be making it myself for the Super Bowl festivities. I love your blog! It is so lovely. We had this dip at our small group leader's house, and it is SO good!! Thank you for reminding me about it. :) God bless you, sweet friend. Your dip sounds hearty and delicious. We're not Super Bowl watchers, but we are having a little party this weekend to celebrate a 5 year old. Your grandson is a most handsome fellow, and so tall. What a great 3 generation photo. Your dip looks absolutely wonderful and I know it will be something my husband will enjoy! Well, this sounds easy! Great combo! I didn't realize your daughter blogged!! She's adorable! Love the name of the dip :-)) I really sounds delicious and hearty. What a handsome grandson and beautiful daughter, Kitty. I'm going to visit her blog next! That looks delicious. I'll have to give it a try. I copied this recipe - sounds delish!! Kitty your pictures are beautiful! I love that skirt/dress your grandson's date is wearing! She's adorable (and so is HE!). This dip is almost like one I make but instead of cream cheese it calls for a block of Velveeta . . . lol, neither is healthy! I used to make this every year at Christmas Eve for our little 'party' with the kids. Haven't made it in a long time. Probably a good thing haha! Kitty, I'm going to be making this soon for friends. My husband is one of those rare people who doesn't like dips, but all our friends do!